Hello. 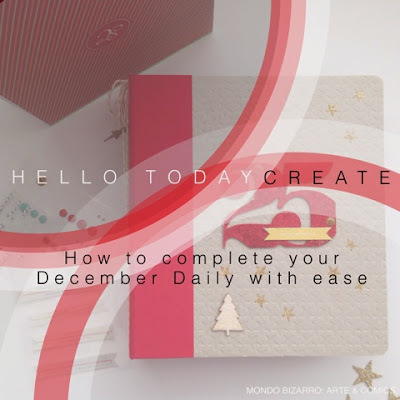 How to FINISH your December Daily. is one of my favourite projects throughout the calendar year. Why? Because it's Christmas silly & who doesn't want to document this special event? I purchase a Ali Edwards December Daily kit yearly, I always purchase a few more papers & embellishments to compliment the kit. This year I ordered some from Gossamer Blue. Ali's kit does come with everything you need though so don't worry if your low on funds etc, the December Daily kit will definitely give you a completed album. Today I'm going to give you four easy steps to follow to get your album done. Don't over think it, remember less is more. 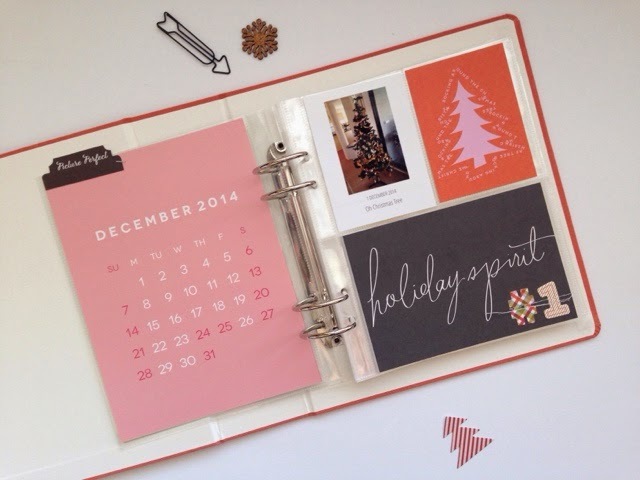 Some ideas could range from your family name, the year, or simply December Daily, Our December or December Memories. Photos. I try to stick to one photo a day or a theme a day. If you have a day that didn't entail anything Christmassy then create a theme such as 'twinkle lights' & take photos of your Christmas lights. Other theme ideas might be; Christmas tree, baking, cards, Santa photo or Christmas carols. Below I started with our Christmas Tree. Step 3. The kit will have all the 3x4, 6x8 & 6x4 cards you will need to complete your album. I always have on hand some grid cards, Kraft paper & white cards just in case I need to fill with extra. Slot these near or with your photo/s for the day. Make sure somewhere on your page is the day number; Ali Edwards kit comes with these. Step 4. Embellishments, this is my favourite part, but remember my motto; less is more. A simple wood veneer on a card or a stamp on a photo will suffice, you don't need to over do it, you will take the emphasis off the photo when you over embellish. And remember to journal, journal, journal. Type or handwriting whatever suits your style. These steps will help you get your album started & completed. Remember Christmas is a time to be spent with loved ones not spending huge chunks of time in your creative space worrying about completing your album or blogging about it. 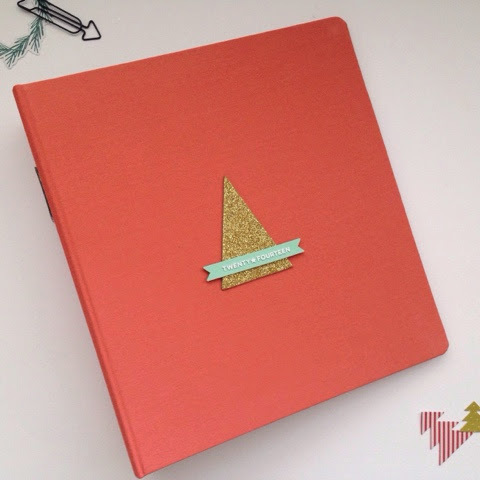 After Christmas & into the New Year you will have ample time to spend getting it finished. Remember to make the memories count & really live in the moment, not behind the camera. 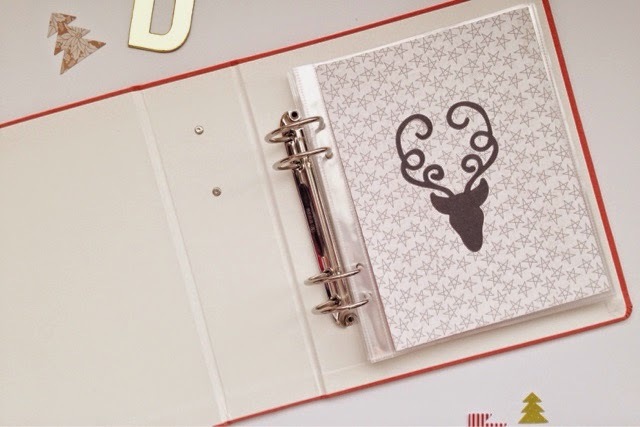 If you would like to view my past December Daily pages I have uploaded them into my tab at the top of my blog. Merry Christmas. Hello. Today. Create. What is December Daily? | December Daily® is about capturing one story per day from December 1 through December 25th. Ali Edwards is the creator, you can find her website here for further information.